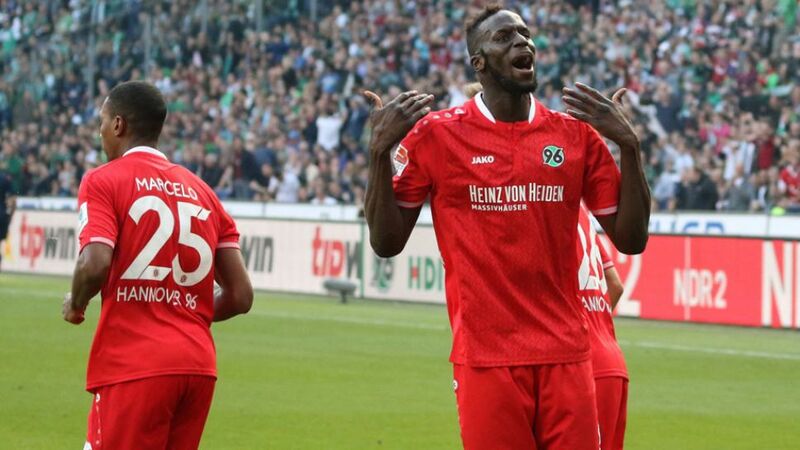 Hannover - Hannover 96 earned their first win of the campaign with a battling 1-0 victory against SV Werder Bremen, who themselves have now lost four games on the trot. Hannover had come into the game buoyed by gaining a valuable point away at UEFA Champions League competitors VfL Wolfsburg last week, but they were largely stifled by Bremen in a first half low on goalmouth action, save for when Anthony Ujah nodded against the crossbar shortly before the interval. Proceedings livened up in the second period, however, and after Ron-Robert Zieler parried clear a Zlatko Junuzovic free-kick at one end, Salif Sane headed the hosts in front at the other. Bremen threw on the veteran striker Claudio Pizarro and youngster Maximilian Eggestein in search of an equaliser, but came up against a determined Reds back-line and could find no way through, with Hannover themselves coming closest to a second goal through substitute Mevlut Erdinc. Zieler, a FIFA World Cup winner with Germany in 2014, may have been disappointed to be omitted from Joachim Löw’s latest squad, but the 26-year-old responded with a commanding display, organising his defence well and keeping the visitors at bay when called upon. After taking just one point from their first six matches, Hannover appear to have stabilised at the right time, building on last week’s resilient display at Wolfsburg with a first win of the campaign. All five of Sane’s Bundesliga goals have come from set-pieces, with four headers.Die Roten kept their first clean sheet in the league since 16 December 2014.This game was the first this season in which Hannover had neither conceded a goal in the first half nor trailed at the break.